Happy Holidays to SOEL, RA and WC! Happy Holidays to all educators involved in the literacy initiatives at WISD and LESA! Enjoy your well deserved break! Motivating Students to READ over the Holiday Break! When will you have time over vacation to read? Will it be short bursts or long periods of time? Is there a book you’ve been hoping to finish? What is the title? Will you be in the car or on a plane for a long time? What kind of books might you take? What places will you visit that you might like to read about? read that you haven’t had time for? What nonfiction topics would you like read about? What internet sites would you like to visit (favorite authors, magazines, etc.)? What magazines or quick reads would you like to have on hand for short bursts of reading? Which relatives might you like to read with? What might you read to/with them? Is there anyone you’ll see over the holidays who you like to talk with about books? What are you most excited to chat with them about at this time? Our Study of Early Literacy (SOEL) group here at WISD has been deep into reading recent research and learning from top experts at local universities. Dr. Tanya Wright from MSU shared this video illustrating the importance of teaching more than just vocabulary words. Look below the "tip of the iceberg" to reveal what is included in truly understanding the meaning of a word. Teachers should maintain ownership for their students’ writing in their content area. An interdisciplinary approach is key to improving student writing. Content area teachers who understand their own writing processes are the best mentors for their student writers. Teachers are the best teachers of other teachers. Educational practice should be balanced with theory and research. Students should have flexibility and choice when writing. Reading Apprenticeship provides a foundation for better writing instruction. *See the bottom of this post for dates and registration info. *We are interested in learning more about the needs of teachers in the area of writing instruction. Please take this SHORT SURVEY to help us continue quality professional development in this area. In Reading Today, Lauren Aimonette Liang (University of Utah), Naomi Watkins (University of La Verne), and Deanna Day (Washington State University/Vancouver) suggest ways to find challenging, high-quality texts that match the criteria of the Common Core State Standards. “Be aware of the various types of nonfiction, and strive to include a variety in classrooms,” they urge. Teachers should also consider different formats: picture books, magazines, novels, how-to guides, and a variety of informational texts. “Selecting Quality Nonfiction Classroom Texts That Meet CCSS Qualifications” by Lauren Aimonette Liang, Naomi Watkins, and Deanna Day in Reading Today, October/November 2013 (Vol. 31, #2, p. 25-27), www.reading.org; the authors can be reached at Lauren.Liang@utah.edu, naomiwatkins@laverne.edu and dday-wiff@vancouver.wsu.edu. *All details, costs, and registrations can be found on WISDGoSignMeUP! 1. Teacher poses a problem or shares a focused question. 3. Students make evidence-based or reasoned claim(s). 4. Students share and critique claim(s). 5. Students revise their evidence based claim(s). Click HERE for the entire article from The Reading Teacher, a publication of the International Reading Association (IRA). Check out the Stanford History Education Group for Reading Like a Historian. This free resource was created for teachers to access material that engages students in historical inquiry. Each lesson revolves around a central historical question and features sets of primary documents designed for groups of students with diverse reading skills and abilities. This curriculum teaches students how to investigate historical questions by employing reading strategies such as sourcing, contextualizing, corroborating, and close reading. Instead of memorizing historical facts, students evaluate the trustworthiness of multiple perspectives on historical issues. They learn to make historical claims backed by documentary evidence. See research on Reading Like a Historian here. *Thanks to Brandon Szwejkowski for sharing this valuable resource! Is there a Purpose for Teaching Cursive Today? When an administrator posed this question to me a few weeks ago, I did some investigating on this topic with my colleagues at Red Cedar Writing Project at MSU. It was a very lively discussion, and one teacher made a live binder for our collection of shared articles and conversation on the topic. It's a little difficult to find an article that is 100% against cursive. They are either completely for cursive or share equal (or less) time to an opposing side. While most agree that students need to know how to read cursive writing, most also agree that we cannot justify spending loads of time on it in an already pressed- for- time school day. What do you think? The 30th Annual MSU College of Education Technology conference will be held on Saturday, November 16th, 2013 at Michigan State University in Erickson Hall from 8:30 am - 3:00 pm. The theme of this year's conference is online and mobile education. Through a continued collaboration between the College of Education, the MSU College of Education Alumni Association and the Master of Arts in Educational Technology Program, this year's conference will be FREE OF CHARGE to all attendees. Light breakfast items will be available as well as coffee, tea, and juice. Supporting reading, writing, speaking, listening and thinking is essential for the content in every classroom and every grade. To engage students in literacy tasks and skills in every classroom, teachers can carefully choose how to respond to students to promote that thinking. Consider these teacher talk stems and metacognitive questions while facilitating content with students. These talk stems help to get students thinking rather than simply acknowledging an answer as right or wrong. Students can answer these questions in writing, through discussion, or if they can't answer them, this may mean re-reading is needed! *For more information, check out Reading for Understanding- the companion text to Reading Apprenticeship teacher workshops. As a former English teacher, I frequently partnered students for discussion, peer editing, and reading. One thing I used consistently and found very useful was the Clock Buddies organizer. Clock Buddies is meant to be a quick and easy way to create pairs for partnered activities while avoiding the problem of kids always having the same partners. It begins with a clock face, with slots for names at each hour. Each student has his/her own copy of the clock to make "appointments" with 12 different classmates. Students can keep these to use all semester or year long. See the whole description on this site, and download a copy of a clock. International Literacy day shines the spotlight on literacy needs around the world. There are still 780 million adults worldwide with no literacy skills. 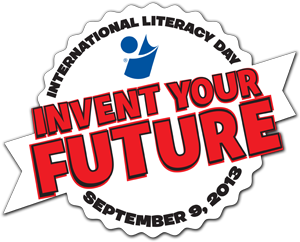 This year, the International Reading Association's theme is "Invent Your Future" to focus on literacy skills adults and children need in school, work, and life. See the IRA website for a Twitter Chat schedule. Michigan also joins in the celebration with their Michigan Reads! book of the year, Woolbur. See the Michigan Reads! website for a programming guide, touring information, pictures, author and illustrator information, and a recorded webinar. Stage a Fun Run for Literacy and provide donated books to participants. Use newspapers to go global — conduct a scavenger hunt for country names or compare how stories are covered by newspapers from different parts of the world. Invite students, parents, or guests who have lived in other parts of the world to read a story or to talk about classrooms in other countries. Have older students make books to share with younger students or donate to childcare centers. Invite a publisher to your classroom or school to discuss how books are developed. Ask a local bookstore to donate books to disadvantaged children or for reading contest prizes. Teacher's College at Columbia University lists some recommended nonfiction journals and online sites that may help you expand your access to complex nonfiction. The online sites provide access to a wide range of educational videos and databases. The journals often provide access to the online archive as well as multiple classroom copies. As you can see, this covers K-12. The NYC Public Library site. Access ‘research’ and choose from online databases, such as Amazing Animals of the World, andHistorical Newspapers, and a digital archive of historical photographs. Video clips and full length shows on history topics from Ancient China to the Vikings to Watergate. At a recent conference, literacy consultant Cornelius Minor asked the question what do you want kids to do with technology? His point was that the outcome is not just to learn another cool technology tool, but for kids to express their thinking and learning and collaborate with others through using technology. 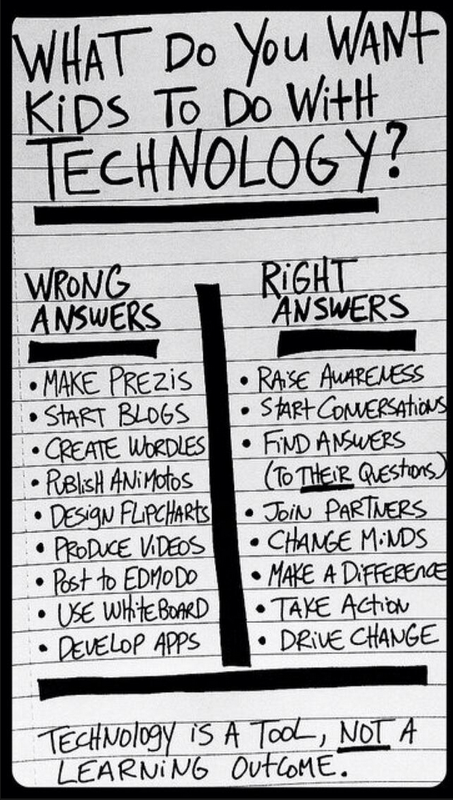 Technology is a tool, not a learning outcome. This is food for thought as we sift through and learn the plethora of new tools out there which allow teachers and students to read, write, speak, and listen in various modes.